The commander responsible for defeating the British land assault on Sullivan’s Island was one of South Carolina’s outstanding citizen-soldiers of the American Revolution. COUNTRY GENTLEMAN William Thomson’s home was Belleville Plantation in Saint Matthews Parish, Orangeburg District (now Calhoun County). Reared on the frontier, the young man won shooting competitions and became an ardent sportsman while acquiring the skills and nerves of a warrior. Thomson was sociable and friendly and enjoyed the admiration of his neighbors. He developed into a leader of his church and community, a large planter and a prosperous businessman. CIVIC LEADER Thomson was active in colonial affairs under the British Royal Government from the 1750s until the 1770s. He was an energetic man with a reputation for dependability and common sense who was said to be a stabilizing influence in an unstable time. As the American colonists’ frustration with the British Government peaked, he was elected to the patriots’ first Provincial Congress of South Carolina, which initiated revolutionary measures in 1775. He continued to hold political office while fighting the war, served in the new state government after the Revolution, and was a delegate to the conventions that ratified the United States and South Carolina constitutions. Between 1765 and 1795, the popular Thomson was elected to 15 terms in the legislature. MILITARY LEADER As a young officer under British colonial rule, Thomson fought with distinction in the Cherokee War of 1760-61 alongside William Moultrie, Thomas Sumter, and other future heroes of the Revolution. He later served as colonel in the colonial militia under the Royal Government. When South Carolina’s revolutionary government formed its initial army in 1775, Thomson was appointed lieutenant colonel – commandant of the Third Regiment (Rangers). He recruited the best riflemen in the province and was considered the best marksman of all. 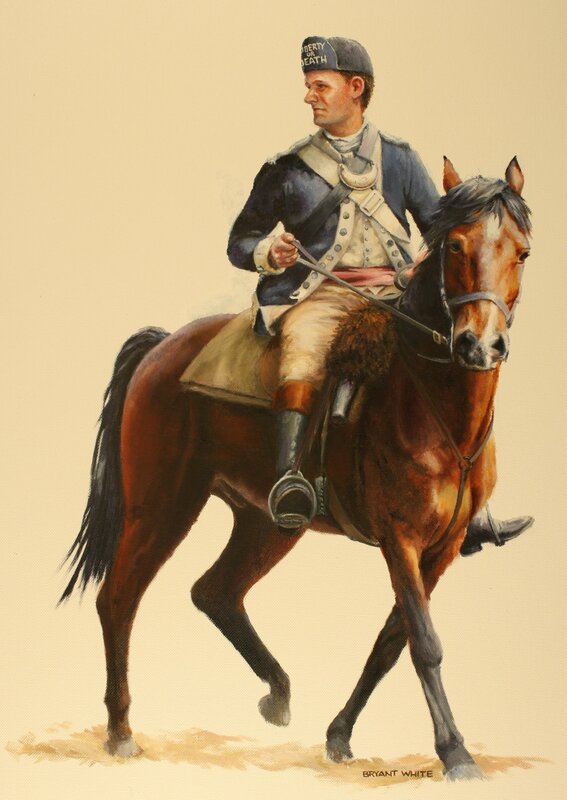 He and his mounted rangers assisted in recruiting backcountry settlers to the patriot cause and distinguished themselves in actions against British loyalists as the Revolution grew more intense. In July 1775 they seized Fort Charlotte in the first overt act of the war in South Carolina. In November they shed the first blood at Savage’s Old Fields. In December 1300 patriots under Thomson routed loyalists in the first land battle in the colony at Great Cane Break. He then led his men through the arduous Snow Campaign that ended the pivotal first year of the Revolution with American patriots in control of South Carolina. After the Battle of Sullivan’s Island, William Thomson was promoted to Colonel in the Continental Army and his Third Regiment served in the Cherokee campaigns, the Battle of Savannah, and the Siege of Charles Town. Colonel Thomson was captured after the fall of Charles Town in 1780 and was twice imprisoned in the Provost Dungeon of the Exchange Building. He was later released in a prisoner exchange and returned to service as an advisor to General Nathanael Greene in the successful campaign to drive the British forces out of the Carolinas. PERSONAL SACRIFICE The American Revolution caused suffering for both patriots and loyalists, especially the leaders. 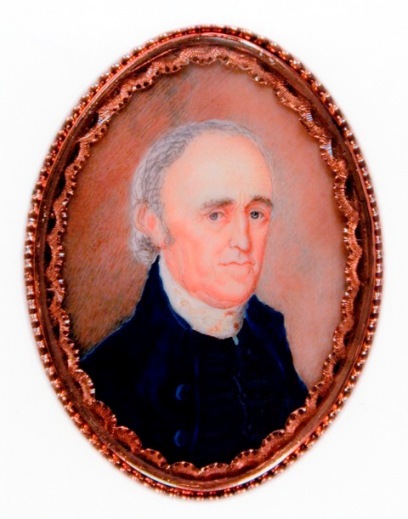 William Thomson endured severe personal and financial hardships for the cause of independence. While he was imprisoned in 1780, British troops occupied his home and fortified it as a garrison, devastating the plantation. Crops and animals were destroyed and some 100 of his slaves were taken away by the British or died of disease. Thomson himself was ill during military campaigns and while held prisoner in the notoriously unhealthy dungeon. Despite lingering poor health in the post-war years, he labored diligently to restore his property, resuming production of his main cash crop, indigo. As the indigo trade declined, Thomson adapted and became a pioneer in producing cotton for export. “DANGER” While he was a distinguished gentleman with an easygoing nature, William Thomson was a fierce fighter whose courage and conduct gave him great influence over his men. They respectfully called him Danger or Old Danger in tribute to his bravery and daring in battle. For more information see William Thomson Biographical Sketch, 1902 and Johnson’s Traditions on William Thomson. With the approach of a new school year, I can see this website and Thomson Park becoming an integral part of field trips for elementary through high school students. This blog, itself, will lend itself to research for students as they learn about history that is often not portrayed in text books. Lucy – I hope you’re right! THAT is exactly what makes projects such as this worthwhile. My name is David Hane and my 9th Great Grandfather is “Old Danger”. I cannot tell you how thrilled I am to see this happen. I have been sick since they changed the name of the Bridge. This is an even better plan to commemorate this American Hero. Great to hear from you. If all goes well this will be a whole lot better than the bridge – and, the information being developed will expand our knowledge of just what did happen in June 1776. I’m delighted to make your acquaintance. I had an ancestor there as well….not sure if he was at Sullivan’s Island or not. His exact whereabout is still cloudy. As a descendant of Capt Oliver Towles of Ninety Six District, I am very happy to see the importance of the repulse of the British at Breach Inlet to finally be recognized. I hope that the park becomes a reality and continued research will be conducted so that this remarkable episode in our nation’s history can find its way into the mainstream of American Revolutionary War history. I am so happy that “Old Danger” will not be forgotten. My hats off to everyone for making all of this possible. Good job. Many thanks to everyone who has made this possible. It’s exciting to me since my middle name “Thomson” is in honor of William Thomson. I was surprised to see the person above who is a ninth great grandfather. It all has to do with birth order and how long my grandfather waited to get married — in his 40s. You can see that there’s not a whole lot of imagination to our family names. I have only visited South Carolina three times even though it was the boyhood home of my grandfather. Enjoyed the history lesson and beauty of the state. Wish you could be at the park dedication, Tom. We will have a place for Thomson descendants to connect and begin conversations among distant cousins. How do I find out about that? My family is from South Carolina. My grandfahter, father, myself and my son are all William Thomson. This information about “Old Danger” is interesting. Does anyone have information about the Haskells? Wish we could be two places at the same time. We are having a Haskell Family Reunion in Gettysburg and I’ll be talking about William Thomson Haskell (who was killed at Gettysburg — son of the first Charles Thomson Haskell) and three other South Carolina Haskell’s who were at Gettysburg as well as mention of the second Charles Thomson Haskell who was killed at Battery Wagner, Morris Island, eight days after his brother was killed in Gettysburg. So we will be with you in spirit and I’ve placed your link in my talk. my grandfather’s mother was Eva Haskell Porcher (married name). I was always told that Old Danger was a relative but I’m not sure I can connect all the dots. Eva Haskell Porcher was the second child of Harriet Eva Haskell and John Couturier Porcher; Harriet Eva Haskell was William Elnathan Haskell’s fourth child of his second wife Harriet Eva Bachman; William Elnathan Haskell was the sixth child of Elnathan Haskell and Charlotte Thomson — Charlotte the daughter of Old Danger. You’re left to do the work in the other direction back to you. I believe that the Eva Haskell Porcher (married name) you were talking about was really Harriet Eva Haskell who married John Couturier Porcher. There is a Eva Haskell Porcher the child of Harriet Eva Haskell and John Couturier Porcher that Tom mentioned but she died as an infant and is buried at St. Stephen’s Parish Church Cem. So your line goes down to you from Harriet Eva Haskell Porcher next Henry Francis Porcher next Septima Holmes Porcher then yourself. To go back to William “Old Danger” do like Tom said back from Harriet Eva Haskell, to William. Please accept my tardy thank you for your correction above. Are you the Jeff Reid of the Calhoun County Museum? Are there additional exhibits for William Thomson there? Yes, Henry Francis Porcher (son of John Couturier Porcher and Harriet Eva Haskell) was my grandfather. My mother is Septima Holmes Porcher Murray. So Old Danger is my sixth great grandfather? Did I count that correctly? I wish the site of Col Thomson’s Belleville Plantation could be visited. It’s inaccessible. Peter, The Belleville Plantation site is on private property as is the cemetery where Col. Thomson is burried. Jeff Ried of the Calhoun County Museum (also a Thomson decendent), may be planning another tour of that property in the fall or early next year when the snakes are sleeping. You can contact him at the Calhoun Co. Museum in St. Matthews, S.C. 803-874-3964. (Doug Doster, SCSSAR). I am an admirer of our Revolutionary War heros, of whom Thomson was one. I once belonged to a hunt club, at Ft. Motte, that included Belleville Plantation. The club split about 10 years ago, and I went with the Lang Syne Plantation side. However, hunting the old graveyard surrounds was a favorite for me, and I often stopped by to pay my respects to Old Danger. I was blessed with good hunting, and took a few deer & hogs and a handful of turkeys in the graveyard vicinity. The Gressettes grow timber on Belleville and the timber encroachment has caused some damage to the site. Very recently, SCDoT has conducted a mining operation & equipment staging area adjacent to Hwy 601 for the construction of a new bridge across the Congaree River. It appears that this open area is close to the grave site and may provide easier access than through the forest roads. By the way, happy Carolina Day! This is a superior source of information. I had an ancestor, Eleazer Gore, who was with Thomson’s Rgt at the battle. Where might one find a list of those who served with Thomson in the defense of Charleston? Thank you in advance. See our best information on this page https://thomsonpark.wordpress.com/british-and-american-forces-at-breach-inlet/. There is a report in a Charleston paper in February 1783 (after the British evacuated) saying that Tories had just “reached Colonel Thompson’s plantation which they had stript of everything moveable.” Jacob Rumph was sent after the marauders. Has anyone heard of this attack on Colonel Thompson’s plantation or Thomson’s plantation after the war was all but over, in 1783? I don’t see how there could have been a second Thomson’s plantation that did not need further identification–everyone meant Belleville. Thanks! General Gerry, Our leaders of today need the Thomson spirit. Old Danger Thomson is my 5th Great Grandfather. I am amazed by this park and his history. mr.danger thomson was also my family my late father was colonel thomson us navy and air force im his daughter and im also military as well miss the colonel he was true the danger in the thomson familys.jessie howard thomson 040217/03/02/00.he was somethg.else most that knew him loved him or wished they never meet him, but a true love of texas and a great builder o9f texas and a true designer and a great father as any girl could ask for missing mr.danger thomson of the 1950- 1962 era.